Description: I’ve lived in Western North Carolina for 40 years and had never been to MerleFest until a few weeks ago. And I'm here to tell you MerleFest is one of the most organized music events I’ve ever attended with an amazing lineup of talent. This was the 31st year and it's like a big camp for musicians and music fans held on the campus of Wilkes Community College in Wilkesboro, North Carolina. Imagine over 100 incredible performers on 13 stages over four days. Some highlights of MerleFest 2018 are included in the conversations I had with some of this year’s performers in their element. Enjoy! I’ve lived in Western North Carolina for 40 years and had never been to MerleFest until a few weeks ago. And I'm here to tell you MerleFest is one of the most organized music events I’ve ever attended with an amazing lineup of talent. 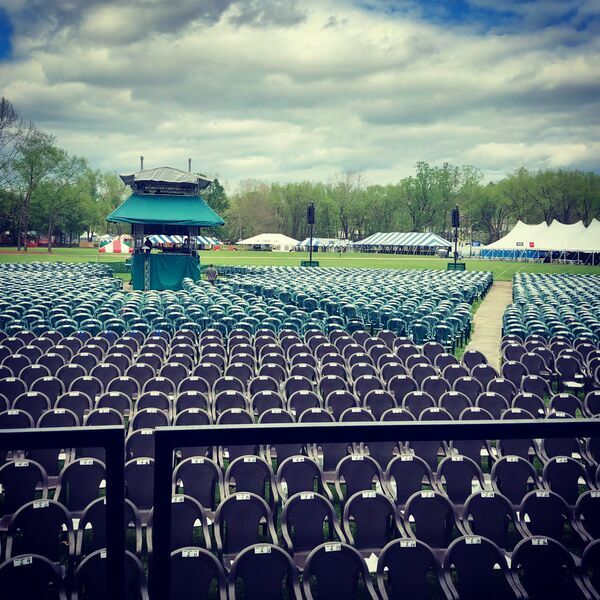 This was the 31st year and it's like a big camp for musicians and music fans held on the campus of Wilkes Community College in Wilkesboro, North Carolina. Imagine over 100 incredible performers on 13 stages over four days. Some highlights of MerleFest 2018 are included in the conversations I had with some of this year’s performers in their element. Enjoy!